The monks’ beer will be sold at the new taproom, 400 Humpert Lane in Mount Angel, during the city’s Oktoberfest, this year Sept. 13-16. 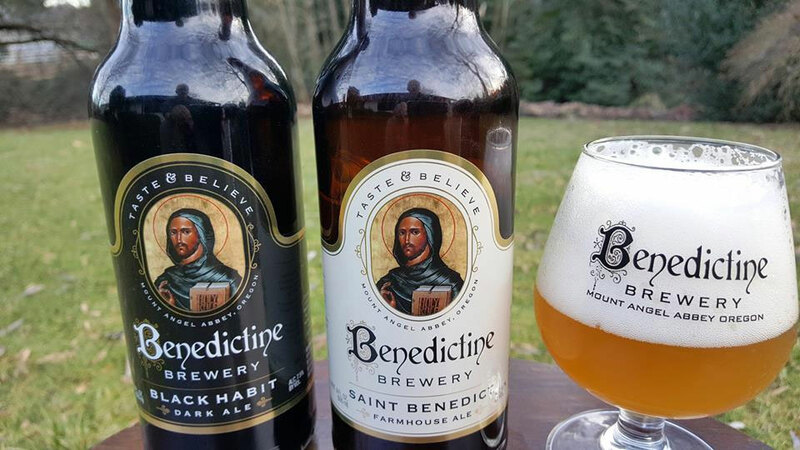 Regular taproom hours are being determined but tentatively are Wednesday and Thursday, 3-8 p.m.; Friday, 3-9 p.m.; Saturday, 1-9 p.m.; and Sunday, 1-5 p.m. For more information email info@benedictinebrewery.com or search for “Benedictine Brewery” on Facebook. The website is under development but look for it soon at benedictinebrewery.com. Tyrant Cascadian Dark Ale and the less-forebodingly dubbed St. Benedict Farmhouse Ale will be among the beers crafted not at the trendiest Portland brewery but on the peaceful, prayer-suffused land of Mount Angel Abbey. The abbey’s Benedictine monks began making beer about four years ago — honing recipes at a small brewery at the monastery but primarily working out of Seven Brides Brewing in Silverton. This September, Benedictine Brewery will complete its own on-site brewery and taproom, located on the west side of the abbey hilltop and seating about 50 people. 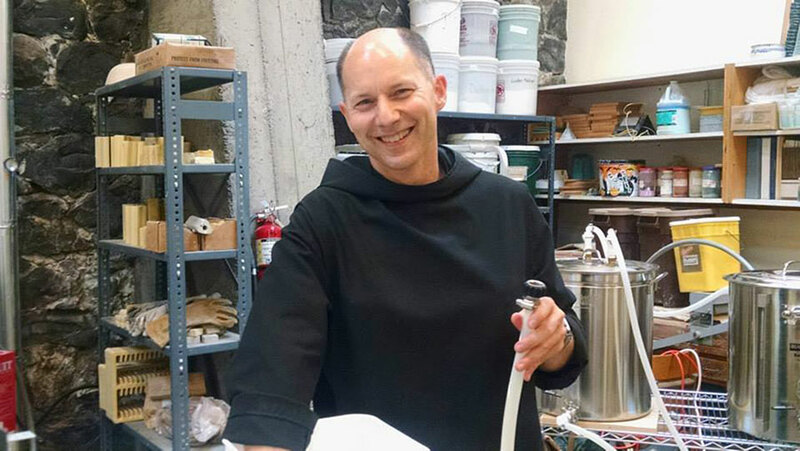 It is one of just three monastic breweries in the United States, according to Father Martin Grassel, abbey procurator (much like a chief financial officer) and lead brewer. “We know the tradition behind monks brewing beer and are proud to be carrying it on,” said Father Martin. Monks began making the fermented beverage in the sixth century, when Benedict of Nursia wrote in his Rule of St. Benedict that monks should earn their own keep and donate to the poor through the work of their hands. In the following centuries, monasteries have produced tasty goods that include cheese, honey and beer. Due to water contamination in medieval times, beer was a safer way to quench thirst. It additionally provided sustenance for monks during Lenten and Advent fasts. The Benedictine monks in Mount Angel plan to have the new taproom ready for business in time for the city’s Sept. 13-16 Oktoberfest, one of the largest folk festivals in the Pacific Northwest. Father Martin said the taproom will provide a simplified service during the festival to accommodate the large crowds. Throughout the rest of the year, he believes the space will draw visitors to the small town as well as be enjoyed by local folks. “With Oktoberfest and a German heritage, this is a beer-loving town,” said Father Martin. Most of the beers — previously sold only at the abbey bookstore or at special tastings — are Belgian with a Northwest hop influence. Along with the farmhouse and dark ales, there will be Haustus Pale Ale and a Munich Helles, “for lager lovers,” said Father Martin. He believes the taproom will provide a unique way for the monks to interact with people and to tie the consecrated men more closely to the Mount Angel community. “We hope that people will discover the goodness of God through visiting the brewery,” he said. My Hubby & I really enjoyed our visit to the Bewery on their Grand Opening day! My Hubby got sold on the Black Habit Beer @ Mt. Angel's Oktoberfest last year. So He was Delighted to partake of the chocolatey malt @ it's origin ~ with the gorgeous view! Just surprised they will be opened each Sabbath This comment has been hidden due to low approval.